Ingredients: sugar, cocoa butter, skimmed milk powder, whole milk powder, cocoa mass, emulsifier: soya lecithin, acid: citric acid, natural vanilla flavouring (Cocoa solids 47% min; Milk solids 26.4% min). The fourth chocolate is here!! 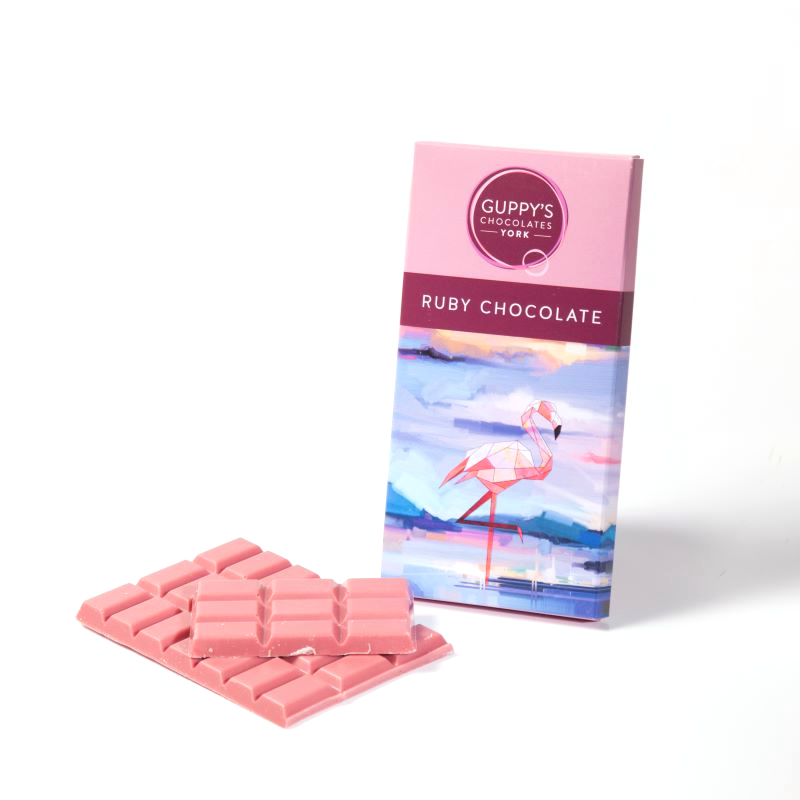 Created through a unique process, from existing cocoa bean varieties, which unlocks the flavour and pink/red colour present in the cocoa beans. Ruby Chocolate has a naturally occurring pink colour and the flavour of red berries with fresh sour notes. No flavouring or colour is added. Packaged in a sealed bag and a cardboard outer.